Dorothy Forrest is immersed in the sensory world around her; she lives in the flickering moment. From the age of seven, when her odd, disenfranchised family moves from New York City to the wide skies of New Zealand, to the very end of her life, this is her great gift and possible misfortune.Through the wilderness of a commune to falling in love to early marriage and motherhood; from the glorious anguish of parenting to the loss of everything worked for and the unexpected return of love, Dorothy is swept along by time. 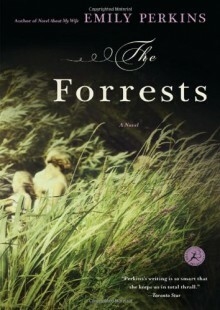 Her family looms and recedes, revelations come to light, death changes everything, but somehow, life remains as potent as it ever was, and the joy in just being won't let her go.In a narrative that shifts and moves, growing as wild as the characters, The Forrests is an extraordinary literary achievement.